1. Buy parejos. This is the typical cigar shape: straight sides, rounded head with a cap or pigtail, and an open foot. It’s the easiest shape to roll, so it’s the least costly. Figurados such as torpedos, perfectos, and other irregularly shaped sticks require greater skill to roll properly. So you’ll either pay more for a well-done figurado or risk a poorly rolled cigar. 2. Ignore novelty. When you’re trying to save money and buy good cigars, you need to steel yourself against the latest fad (those double-wrapper cigars look interesting!) or creation (Should I try that new anniversary stick or the latest blend?). They may be terrific cigars, but you’re taking a risk, and shepherding resources is all about reducing risk. 3. Don’t buy bundles blindly. No-name bundle sticks can be a bargain. But, let’s face it, odds are they’ll be mediocre at best. When you’re smoking, do you want your mind focused on a pleasant experience or busy trying to convince yourself that this cigar you can barely tolerate is OK because it didn’t cost much? 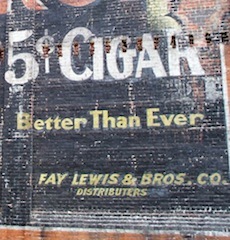 Personally, I wouldn’t buy more than five sticks of any cigar I hadn’t previously smoked and liked. 4. Just say no. Make sure you have a good cutter, punch, and/or V-cutter. If you have a lighter, use it. That’s all you need. If your lighter breaks, don’t go looking for a new ST Dupont or Bugatti. Wooden matches will do just fine. If you really want a butane torch, get a sub-$3 Ronson. And don’t even think about things like golf course cigar holders or three-finger ostrich skin cases. 5. Reputation means a lot. One great trend lately has been top-flight manufacturers—Pepin, Fuente, Newman, Perdomo, and others—bringing lower-priced cigars to market. These companies have access to excellent tobacco, good rollers, and top blenders; they put their names on the line with every cigar. And they’re on the shelves at most tobacconists, so you can easily try them out one at a time. No, these low-end cigars aren’t as rich, smooth, or complex as high-dollar cigars, but smoking them will, once again, increase the odds you’ll be pleased. Great article! Especially the whole “bargain” bundle part. Is rather save up a little longer and spend my money on something I know I’ll like than get a whole bundle of sticks that make me angry as I smoke them. Oh, Anthony. So misguided. Everyone knows that a concept like virginity does not apply to the Yeti, which is actually a plant, and reproduces through germination. Anthony, Everybody knows Siberian tigers don’t grow tusks until they’ve lost their virginity. George E, thanks for good reminders. How tempting are ads for bundles of no-names and seconds that most of the time would lead to regret! For months & months I’ve been storing 51 cigars that are too terrible even to donate. I keep them to keep me from making the mistakes again. Okay, I’ll donate the 51 losers. You’re right, it’s bad karma to keep seeing my mistakes. Let’s be positive. Someone sitting in Iraq or Afghanistan may like them. st, how do they get virgin olive oil if a concept like virginity does not apply to plants? Because olives are actually fish. Jason – Personally, I don't like infused or flavored cigars, but lots of people do. And since I've smoked only a few of them I'm really not qualified to comment on them. To those who enjoy them, I say go for it. Yardog – Even when Patrick S. reviewed a number of golf course holders (http://www.stogieguys.com/page/6?s=golf) he noted that "none of these gadgets are must buys for the average stogie-puffing hacker." If anyone wants to buy cigar gadgets, it's fine with me, but I do think we need to recognize that they aren't essential to enjoying cigars. Great tips! Just curious, though: when you say “ignore novelty”, what are your feelings on Acid cigars? We’ve gotten a lot of mixed reviews, seems a bit of a hot button! Thanks, and good work! Love your blog. Instead of buying boxes of your favorites or new investigations, look for the 4 and 5 packs. I nearly bought two boxes recently before discovering that I was really out to create more diversity than merely two boxes would allow. So, I bought 3 five packs. It cost me about a third of what two boxes would cost, and it allowed me to expand the diversity of my collection without overspending or over-filling my humidor.